How tall would a Lego Tower be before the bottom brick collapsed? 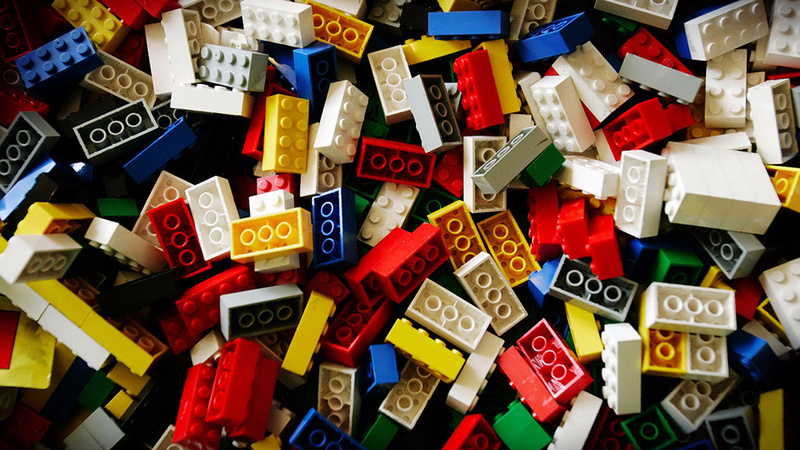 Lego – The raw material that may lead to an Architectural Career! As we come up to Christmas perhaps rather than thinking of real buildings we may be turning our thoughts to buying a “toy” for our children which will fire their imagination and introduce them to the basic concept of design… and what better toy for a budding architectural designer than the good old Lego Brick? I can remember telling my parents that one day I would build them a real bungalow while showing them one I’d built from Lego. It had slightly more external colours than perhaps most Planning Officers would like, and even back in 1972 when all I’d ever seen were wooden windows, it had plastic ones… so it would have been poorly received in a Conservation Area! Since that day, there has perhaps been one question above all others left unanswered! How tall could a Lego Tower be before the bottom brick collapsed? I’m pleased to say, that that question has now been answered… sadly, not by me or anyone else building a tower until it toppled, but using scientific methods instead! Oh yes, and whilst I did not actually build my Mam & Dad a Bungalow… I did design the one they had built in County Durham in 1996! This entry was posted in Architectural Design and tagged Architectural, design, lego. Bookmark the permalink. ← Thinking of starting a building project in Spring 2013? Think NOW for starting the plans!